We live at a time when the signs of the last days are literally being fulfilled right in front of our eyes. One of the most exciting signs that Bible prophecy students love to keep an eye on are preparations for the rebuilding of the Jewish Temple. In a previous article, we discussed how the Temple Institute in Jerusalem took a giant step towards the rebuilding of the Temple by beginning to rebuild the sacrificial altar. Now it has been revealed that the Temple Institute has already spent approximately 27 million dollars on preparations for the rebuilding of the Temple, and that the Temple Institute intends for this future Temple to be a house of prayer for all “monotheistic religions”. The executive director of the Temple Institute, Yehuda Glick, says that a large portion of the financial support for the Temple Institute actually comes from evangelical Christians….. So what have all these funds gone towards so far? Well, the truth is that the Temple Instituted has been extremely busy. The Temple Institute Museum in Jerusalem’s Old City contains solid gold service vessels, trumpets made of silver, garments to be worn by future priests made from golden thread, copper urns and many, many other items that have been painstakingly designed to Biblical specifications for use in the future Temple. So when will this Temple be built? According to Glick, it will depend on when the Messiah shows up….. 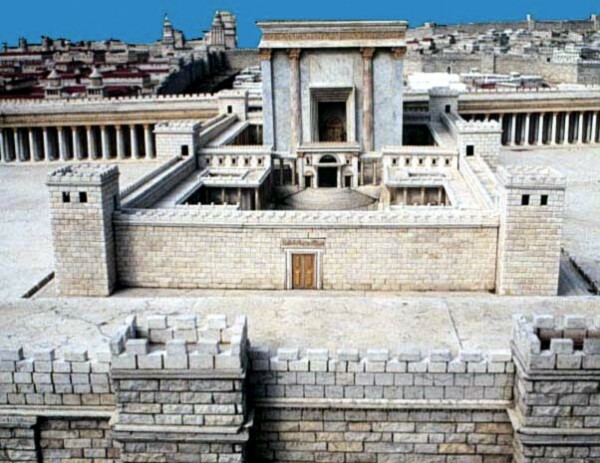 Most Christians understand that Judaism believes that the third temple will be built upon the arrival of the Messiah, but what most Christians do not realize is that the Temple Institute envisions a future Temple that will be “a house of prayer open to all believers in the monotheistic faiths” – Christians, Muslims or Jews. In fact, Glick says that the Al-Aqsa mosque does not need to be removed for the new Temple to be built. As surprising as this may be to many evangelical Christians, the truth is that Glick is far from alone in this belief. For example, A stunning article that was published in the leading journal of religious law in Israel envisioned a scenario under which a “holy revelation” is given to an “authentic prophet” who would authorize that the Temple be rebuilt in peaceful proximity to the Al-Aqsa mosque and nearby Christian shrines. This article echoed Glick’s sentiments by discussing the potential for turning the Temple Mount into “God’s Holy Mountain” – a “house of prayer” for all people (Isaiah 56:7). This website depicts a harmonious future for the Temple Mount where Muslims, Christians and Jews mingle and pray between the Dome of the Rock and a rebuilt Jewish Temple. This project is headed up by Jewish members of the Interfaith Encounter Association. This organization is actively encouraging all three religions to adopt a new theological outlook which would allow all three faiths to worship on the Temple mount. Of course those of us who study the Scriptures know what God would think about such plans. But could the Antichrist someday pose as the Jewish Messiah and use such expectations to promote the use of the rebuilt Temple for his one world religion? It is something to think about. In any event, preparations for the rebuilding of the Jewish Temple are heating up as never before, and as students of the prophecies of the last days this is something that we need to continually keep an eye on. What do you think about all of this? As always, we welcome your comments and your questions…..
A Plan For Jews And Muslims To Share The Temple Mount? Praise The Lord for the rebuilding of The Third Temple!!! That will be exactly how the beast will take power. By all means please build the Temple. Then we will all see how Powerful the Father really is. God Bless and Peace Always in Yeshua. Do you not know that this custom is the worship of the gods mithra, adonis, tammuz, osiris, meni and nimrod? December 25th is the “birthday” of these gods and has been celebrated in worship of them for many thousands of years before the coming of the Messiah. Easter is another. Christianity is steeped with paganism. The intent of the believer does not trump the abomination of the believer’s practices. As revelation 12:9 says, the whole world is deceived! the Name of the Creator has been forgotten for the title “lord” (Jer. 23:27) and the preachers do not teach the message of the Messiah. Praise God, for without his mighty hand these things would never happen.The Bible foretold of this and as always the Bible does not lie. So evangelical Christians have been donating money thinking that the JEWISH temple would be rebuilt when the builders were actually going to build a temple for all religions even Muslims who hate them and want to kill them? WOW! What a scam! If they had known, I’m sure half of those Christians wouldn’t have donated!!!!!! I suggest the sooner the better. As you know the messiah will come soon there after. Then, the whole world will bow down to Jesus our Lord and saviour. According to Egyptian mythology, Horus was originally believed to be the son of Ra and Hathor and the husband/brother of Isis. Later he was seen as the son of Osiris and Isis once Hathor and Isis were merged into one being. Horus was considered the sky, sun, and moon god represented by a man with the head of falcon. Throughout the centuries, the Egyptians eventually considered Osiris and Horus as one and the same. However, this son-as-the-father comparison more closely resembles the metamorphosis of Hathor into Isis than it does the Christian trinity. We see Horus first as the son of Ra, then being the equivalent of Ra, then Ra finally becoming just as aspect of Horus. Similar to Hathor and Isis, we simply see a merger of one being into another. In Egyptian mythology, each god had a distinct beginning by being conceived from other gods. In Christian theology, God and Jesus always existed as one and the same, neither having a beginning or an end. Jesus’ birth did not represent His creation- only His advent in human from. Furthermore, the father-son concept was not created by first-century Christians. Prophecies in the Old Testament referred to the future Messiah as the Son of God up to 1,000 years before the birth of Christ. CRUCIFIXION AND RESURRECTION – Horus is never said to have been crucified, nevertheless to have died. The only connection we can make to Horus being resurrected is if we consider the eventual merger of Horus and Osiris. But such a theory results in a catch 22, apparently noticed by the Egyptians as they later altered their beliefs to fix the contradictions. In the Egyptian tale, Osiris is either dismembered by Set in battle or sealed in a chest and drowned in the Nile. Isis then pieces Osiris’ body back together and resurrects Osiris to conceive an heir that will avenge Osiris’ death (although technically Osiris is never actually resurrected as he is forbidden to return to the world of the living). BORN ON THE 25TH OF DECEMBER – Horus’ birth was actually celebrated during the month of Khoiak, (October/November). Though some critics claim Horus was born during the winter solstice, this shows more of a relationship to other pagan religions which considered the solstices sacred. TWELVE DISCIPLES – Superficially this similarity seems accurate until we see Horus’ “disciples” were not disciples at all- they were the twelve signs of the zodiac which became associated with Horus, a sky god. However Jesus’ disciples were actual men who lived and died, whose writings exist to this day, and whose lives are recorded by historians. Because Horus’ “disciples” were merely signs of the zodiac, they never taught his philosophy or spread his teachings. The fact that there are twelve signs of the zodiac (twelve months) as compared to Jesus’ twelve apostles is an insignificant coincidence. THIS ONE IS MY ABSOLUTE FAVORITE!! EVEN KIND OF NASTY, SORRY!!! SIMILAR TITLES Critics allege Horus held similar titles used to identify Jesus such as Messiah, Savior, Son of Man, Good Shepherd, Lamb of God, The Way, the Truth, the Light, and Living Word. However I can find no evidence of any of these names ever being used in reference to Horus. I am especially suspicious of the word Messiah since it is Hebrew in origin. What does all this tells us–JESUS IS COMING SOON! I am so excited! God bless you for this article. If I was not clear I apologize. I mean not to say that The Messiah did not exist nor that the History known as the New Testament is a plagiarized one. My point is that the customs of Christianity today are NOT FOUND IN THE BIBLE. This being a comment and not my thesis on the subject, I’ll not take the time to list the details and references. However, as I wrote before “Christianity and the customs associated with it is a combination of many many pagan religions of old. Jerimiah even specifically condemns the practicing of some of the most popular christian customs. Christmas and the Christmas tree. (Jer. 10)”. My belief and conviction is that The Messiah does exist and died to pay the death penalty for the sins of mankind. A blessing that can only be received by those that repent and convert, not trampling under foot the Blood of Messiah. I suggest you look into The Council of Nicea, in depth. Here’s a bit of information to start you off. ” Constantine’s intention at Nicaea was to create an entirely new god for his empire who would unite all religious factions under one deity. Presbyters were asked to debate and decide who their new god would be. Delegates argued among themselves, expressing personal motives for inclusion of particular writings that promoted the finer traits of their own special deity. Throughout the meeting, howling factions were immersed in heated debates, and the names of 53 gods were tabled for discussion. “As yet, no God had been selected by the council, and so they balloted in order to determine that matter…For one year and five months the balloting lasted…” (God’s Book of Eskra, Prof. S. L. MacGuire’s translation, Salisbury, 1922, chapter xiviii, paragraphs 36, 41). At the end of that time, Constantine returned to the gathering to discover that the presbyters had not agreed on a new deity but had balloted down to a shortlist of five prospects: Caesar, Krishna, Mithra, Horus and Zeus (Historia Ecclesiastica, Eusebius, c. 325). Constantine was the ruling spirit at Nicaea and he ultimately decided upon a new god for them. To involve British factions, he ruled that the name of the great Druid god, Hesus, be joined with the Eastern Saviour-god, Krishna (Krishna is Sanskrit for Christ), and thus Hesus Krishna would be the official name of the new Roman god. A vote was taken and it was with a majority show of hands (161 votes to 157) that both divinities became one God. Following long-standing heathen custom, Constantine used the official gathering and the Roman apotheosis decree to legally deify two deities as one, and did so by democratic consent. A new god was proclaimed and “officially” ratified by Constantine (Acta Concilii Nicaeni, 1618). That purely political act of deification effectively and legally placed Hesus and Krishna among the Roman gods as one individual composite. That abstraction lent Earthly existence to amalgamated doctrines for the Empire’s new religion; and because there was no letter “J” in alphabets until around the ninth century, the name subsequently evolved into “Jesus Christ”. I have always had the utmost respect for Yehuda Glick and the work done at the Temple Institute, and have supported the work they have done, but this revelation comes as quite a shock. I am truly amazed that someone like Glick would actually believe that you could leave the Muslim shrines on the Temple Mount and build the Temple next to them, much less include them in the Temple itself. First of all, the Scripture does not say “a house of prayer open to all believers in the monotheistic faiths.” It just says, “a house of prayer for all peoples.” But it does say “As for these foreigners who attach themselves to Yahweh, to minister to Him, to love the name of Yahweh, to be His servants”. It’s very clear that no other god will be allowed. Does Glick honestly believe that the God of Israel would allow other gods to be worshiped on His holy mountain when He clearly states many times in the Tanakh that He is a jealous God, that He alone is God, and that He will not share His Glory with any false god? What about the sh’ma? And why did the Maccabees concern themselves with removing all of the remnants of the pagan deities and altars before consecrating the Temple back to Yahweh if it didn’t matter? Why does Scripture continually refer to the evil ways of Jeroboam: “He did what was displeasing to Yahweh; he followed the ways of Jeroboam and the sins which he caused Israel to commit.” (1 Kings 15:34)? What were the ways of Jeroboam? He encouraged Israel to worship the false gods he created and he built pagan altars! If Yahweh didn’t care about the pagan gods why was He mad at Jeroboam and those who followed in his ways? And why was Yahweh so upset about the pagan deities that were being worshiped in the Temple, as described in Ezekiel 8.1-18? The Lord is very clear, speaking through Isaiah, that Israel must remove all the pagan shrines in the land: “Assuredly, by this alone shall Jacob’s sin be purged away; this is the only price for removing his guilt: that he make all the altar-stones like shattered blocks of chalk– with no sacred post left standing, nor any incense altar.” (Isaiah 27:9, and see also Exodus 34.13; 23.24b). This is an abomination! I would think that a statement like this would cause many people — Christians and Jews alike — to think very carefully before giving money to the Temple Institute. All the people I know — Christians, Orthodox Jews, Muslims — see it the way it is described in Scripture — the Temple Mount only on the “Temple Mount”; the pagan shrines must be removed. There’s no need for Al-Aksa to stay. It’s a desecration of the Holy Name (as Torah-observant Jews would say) to permit the Muslims to remain anywhere upon the Temple Mount or within the Promised Land of Israel. I’ve heard some Jews go for the so-called monotheistic religions being permitted to pray in the Third Temple, but others say Christians are idolaters with their sticks and Muslims are idolaters with their stones. All I know is the Bible specifically states the GOD OF JACOB – not Ishmael or Esau. The Muslims have yet to submit to the God of Jacob and get over their Islamoonie religion! And too many professing Christians are stuck in the muck of Babylon and have a counterfeit Christ and a different gospel. Qadash: I hate to be the bearer of bad news for you sir, but nothing in Revelation 12:9 (which you repeatedly refer to) has happened yet. Praise The Lord, but woe to the inhabiters of the earth. 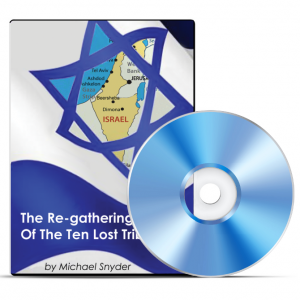 With the knowledge of the rebuilding of the temple the world will attempt to snuff out the fledgling Jewish state. (a) A tasty Polish stew best served in the depths of winter. (b) An irrelevant, archaic concept with no relevance to today’s world. (c) A metaphor for an age of world peace and does not imply an actual person. (d) Alive and breathing right now on Planet Earth and is doing his work. (e) Has already lived and will return one day. (f) Not born yet and is not physically present on earth yet. (g) Best represented by the collective Jewish people and/or the State of Israel. Hello to all. Let me introduce myself to you. My name is John O’Rourke and I come from Sligo in Ireland. In due course I will make comments for you to ponder about. To start off, let me just say that no christian should give any financial support to the rebuilding of anything that holds to the belief that sacrificing is away of cleansing from sin. Why do i say that, you may ask? The reason is clear: Jesus paid the price for us all, once and for all. You are waisting you money, and you will not be blessed for doing this. In fact, you will actually be doing the Devil’s work by giving financial aid to any system that promoted sacrificing of animals for God ‘s cleansing. Jesus paid the price; you are only disobeying God by supporting the continuation of sacrifices. As a matter of fact ( and I know this sounds very strong), but if you actually support the continuation of sacrifing, you are in effect saying that Jesus’s sacrifice wasn’t good eneough. Please, fellow Christians, don’t support it in any form or fahsion. I wouldn’t – no way, no how! Please note, I love Jesus, so therefore I love Jewish people. I love everyone. I have supported Israel in the past, and will continue to do so in the present and future, but anything that supports the continuation of sacrifices…. (as already said): no way, no how! It is estimated in todays money it will cost over a billion dollars to duplicate the original temple!! !Most Christians know that Jesus was not born on Dec. 25th.It is a day celebrated by giving as Jesus gave to all who accept Him,a free gift of forgiveness of all sin and fellowship with the God of Abraham, Issac and Jacob!! !All religions have adopted pagan ceremonies as Jesus predicted.True Christians do not belong to a religious org. but worship God the Father only in Spirit and Truth!! !Today’s Church can be found 7 times in Revelation and out of the 7 only 2,Smyrna and Philadelphia pleased Jesus!! !The rest had better repent of their wicked ways,quickly for the time to do so is very short!! !Religion is Satan’s greatest tool to divide the Church and he has used it to perfection!!! I have never seen any clergyman develop the 1007-year plan of God. What is it? The end of the plan is 2999. So it starts in (2999 minus 1007) or 1992. From 1992 to 1999, the clergymen formed the kingdom, learn how to talk, and all knees bow down to the King on His return to the temple in the year 2000. Therefore, the clergymen not forming the kingdom and working together as a single workforce is the reason God has not returned. What are some of the elements of the church implementing the 1000 years of the plan? First, the thousand year part to eliminate prisons. They decide it is love and marriage of Israel, where no one worries about money. The church has a great plan. God has promised to end the problem with viruses. We eliminated one for military reason, so you use that technique to end one at a time because we can. What a great plan. WWII was the end of all wars, so you trained the politicians they cannot be like the false messiah as a crown leader and represent the God of Heart from the Book of Luke. The politicians are trained; therefore, the clergymen will be forced to cut off his ugly head so the woman will not lose her child in another useless war. The clergyman neutralizing eighty-two percent of the standing armies was possible in a kingdom. Now you created one Holy Bible, so you can teach people to live by every word, not whoring it as grandmas where their sermons are not ready for milk let alone meat. They learned and taught the miracle of not one child hunger in the kingdom and the end of stop sending me little ones small and great. I do not care what they eat as long as they do not die. What is your view to reform the church, so Lord Jesus Christ can return to the temple? Part of your plan must be how you made yourself part of the ten thousand gods called saints that run the seven holy cities. God judged you one hour past midnight in the Book of Revelations because He loved you. You are to judge the world as gods because you love the congregations. The great and dreadful Day of the Lord is Good Friday, where you would teach the politicians not to become dragons and gain the whole world as your crown leader and lose his soul, as they gained nothing at all. The beasts are the politicians violating the Book of Mark and the bad economy is the Mark of the Beast like Hoover Ville. Today, the beasts rule all over the world causing great famines. Man does not live by bread alone so it is all about money. 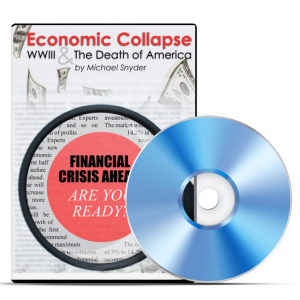 One thousand years of prosperity is good for the world and overcomes the end. 666 beasts are books of standing historical in each nation your church has congregations. You teach and judge from standing historical in a kingdom. Elijah, God’s messenger. I would joy in learning your wisdom. I have my version of the plan as my wisdom as copied from scripture. You must do the same for John 3:16 to obey God. If you are not sure, you can use God’s messenger as your planner. Just write and I can teach you how so you can become what God calls the “chosen and faithful” or work to become a god like the Jewish Rabbis were. Well according to 2 Thessalonians 2:3-4 the Temple will be built for the false god to cause The Abomination of Desolation. So temple will be rebuilt before the second coming of Christ. Let no one deceive you by any means; for that Day will not come unless the falling away comes first, and the man of sin is revealed, the son of perdition, who opposes and exalts himself above all that is called God or that is worshiped, so that he sits as God in the temple of God, showing himself that he is God” like wise “‘Therefore when you see the “abomination of desolation,” spoken of by Daniel the prophet, standing in the holy place’ (whoever reads, let him understand), ‘then let those who are in Judea flee to the mountains'” (Matthew 24:15-16). A follower of the Son of God Jesus Christ. Praise be to God, The Son & Holy Spirit. Thursday Aug. 8th 2030 is a good date for the inauguration of the Third Temple. I would humbly suggest you note regarding the Abomination of Desolation being set up. Matthew 24:34 says this: Truly I say to you, this [a]generation will not pass away until all these things take place. Either Jesus returned in judgement on Jerusalem within His generation or He didnt get it right or the futuristic theology is incorrect. Matthew 16:27-28 27 For the Son of Man is going to come in the glory of His Father with His angels, and will then [a]repay every man according to his [b]deeds. Some will not taste death: Are any of these guys still alive today? Revelation 1:7 Behold, He is coming with the clouds, and every eye will see Him, even those who pierced Him; and all the tribes of the earth will mourn over Him. So it is to be. Amen. Those that pierced him were the Romans and Jews of His generation. How can they be alive today? These verses point to a return of Christ within His generation. Can you explain these verses if Jesus has not returned yet? if Jesus did away with the sacrafice’s. And the real true Church is within us. Why the need to build a physical temple? For what reason. It would seem that if that’s the case. Then everything Jesus did and died for were in vain. And I just don’t believe that’s the case. I don’t believe the coming of Jesus involves the building of the temple. That temple was rebuilt and destroyed by Romans in A.D 70. When Jesus died the vail of the temple was rent in half. Showing the temple is no longer needed. So why go through the point of rebuilding another when it clearly shows by Christ Himself that He wants people to worship from the heart. That’s the real Church. The real focus should be on the Roman catholic Church. Which at the beginning was ordained and started by Peter. Jesus said upon this stone I will establish My Church. And it is the chosen of Christ. To bring the Word of Jesus to all nations. But jesus said before He came back. There would be a falling away and the man of perdiction revealed. Well there was a falling away. The Catholic Church has become contaminated by evilness crept in unawares. And used the Word of God to justify terrible acts. The man of perdiction isn’t a literal or any certain person. It’s the office the man holds. And to me that’s the Papacy. Who else can you identify with someone who sits in the temple of God proclaiming his self to be God. Remember the real temple is in the heart. The pope is worshiped the world over. His label is our holy father and people kneel before him and kiss his hand. Peter himself never allowed a man to worship him. He even stopped it when a man tried to. And Peter said that he was not to be worshiped. For he was just a man like him. And if anyone besides God is to be worshiped it’s Peter. The Pope and Church say they have the authority by God to change God’s laws. Remember what Jesus said to look for . Thinking to change times and laws thinking himself to be God. The catholic Church is the Apostate church spoken of in Revelations. Not to say it’s evil. It’s not. It’s the evil spirits that enter man that has corrupted the church. Jesus just said that satan would not prevail against the church. But it will and is being tried.